Ester Krumbachová might not be a household name in Scotland, but this key figure of the Czech New Wave should be on Glaswegians’ lips this month as the CCA launch A Weakness for Raisins, a new exhibition based on The Murder of Mr Devil, the only film Krumbachová directed. While she only directed one title, Krumbachová’s fingerprints are all over the Czech New Wave. She wrote and designed costumes for many of the movement’s most iconic titles, collaborating with the likes of her partner Jan Němec and the legendary Věra Chytilová. Alongside the exhibition, a 12 film retrospective of work Krumbachová was involved in is screening, in the form of six must-attend double bills. First, on 11 December, there’s Chytilová’s Daisies (script and costumes by Krumbachová) and Karel Kachyňa’s The Ear (production and costumes by Krumbachová). Next up, on 18 December, there’s Petr Václav’s Marian (Krumbachová collaborated on production, costumes and dramaturgy) and Jaromil Jireš’s extraordinary Valerie and Her Week of Wonders (which Krumbachová co-wrote, co-produced and did the costume design for). Moving into the new year, there are other screenings of collaborations with Kachyňa (Coach to Vienna, Long Live the Republic!) and Chytilová (Fruit of Paradise) as well as two films with Němec (The Party and the Guests and Diamonds of the Night) and Krumbachová's sole directorial effort, The Murder of Mr. Devil. This is an unmissable season, and best of all tickets are free. Cage-a-rama is back, and like any sequel worth its salt, it has a ridiculous subtitle – Cage-a-rama 2: Cage Uncaged. Cage-a-rama is only in its second year – making it officially Europe’s longest-running Nicolas Cage film festival – but it’s already scored a UK premiere in the form of Cage’s latest film, Between Worlds. Written and directed by Maria Pulera, this crazy-sounding movie stars Cage as a down-on-his-luck truck driver, haunted by the memory of his deceased wife and child, who strikes up a friendship with a woman who claims to be a medium. Another highlight should be 2017’s Mom and Dad on 6 January, which will be followed by a post-film Skype Q&A with director Brian Taylor (Crank, Ghost Rider: Spirit of Vengeance). Other guests beaming in from elsewhere include Casper Kelly (the mind behind surreal web video masterpiece Too Many Cooks) and Shane Morton – the duo behind Mandy’s iconic Cheddar Goblin sequence – plus Wild at Heart author Barry Gifford, who has pre-recorded an interview for Cage-a-rama’s screening of Lynch’s 1990 film. Other Cage titles include Cage classics (Vampire's Kiss, Bad Lieutenant), little-seen oddities (Army of One, Zandalee) and the gloriously awful remake of The Wicker Man; there’s also the annual Nicolas Cage Birthday Quiz, which takes place on 7 January. This new installation will top off a busy year for Salmon, following her major retrospective at Glasgow's Tramway earlier in 2018 and a Jarman Award nomination. OK, we can’t resist it. Every year around this time we love to curl up in front of a bunch of cheesy festival favourites we’ve seen dozens of times before, and as ever, Scottish cinemas have a fine selection of classic and less traditional festive films to keep us warm this winter. First up, the stalwarts. Of course there are myriad opportunities to relive James Stewart’s existential crisis in It’s a Wonderful Life this Christmas, with GFT, Cameo, DCA and Filmhouse all wheeling out this beloved movie. The closest challengers to this Frank Capra film’s stranglehold of cinema screens this festive season are the joyous Muppet Christmas Carol (GFT, Cameo and Filmhouse) and the newly restored Home Alone (GFT, DCA, Cameo and Filmhouse). Other classics raising their head include the impeccable Shop Around the Corner (Filmhouse), The Bishop's Wife (GFT) and musical White Christmas (GFT, Filmhouse). In terms of alt Xmas movies, some of those have arguably crossed over to classic status themselves. Die Hard, in which Bruce Willis’s John Maclean foils some terrorists’ elaborate heist of an LA office tower on Christmas Eve, certainly fits that bill; it screens at GFT, DCA, Cameo and Filmhouse this December. The anarchic antics of Joe Dante’s Gremlins has also become a beloved Xmas regular (Filmhouse), as has Henry Selik’s stop-motion gem A Nightmare Before Christmas (Cameo, Filmhouse) and sweet Will Ferrell comedy Elf (Filmhouse, GFT). We presume misplaced nostalgia is responsible for the popularity of daft Arnie comedy Jingle All the Way (GFT), but we can get behind the elevation of the more recent Tangerine (GFT) and Carol (Filmhouse, Cameo) to Christmas staple status. If you’re looking for even more leftfield Xmas films, Filmhouse have a Dark Xmas in store for us with a pair of wildly idiosyncratic Christmas-set horrors: Finnish film Rare Export and Alex de la Iglesia’s The Day of the Beast. The regular DIY film night is back with another selection of work from filmmakers making work on the edges of the Scottish indie scene. This edition includes new work from producer Chris Quick, whose film Mountain recently premiered at Portobello Film Festival and Ross Woodhead’s Goldbrick, describes as “a 1970s pastiche about the struggle to make independent action cinema”. 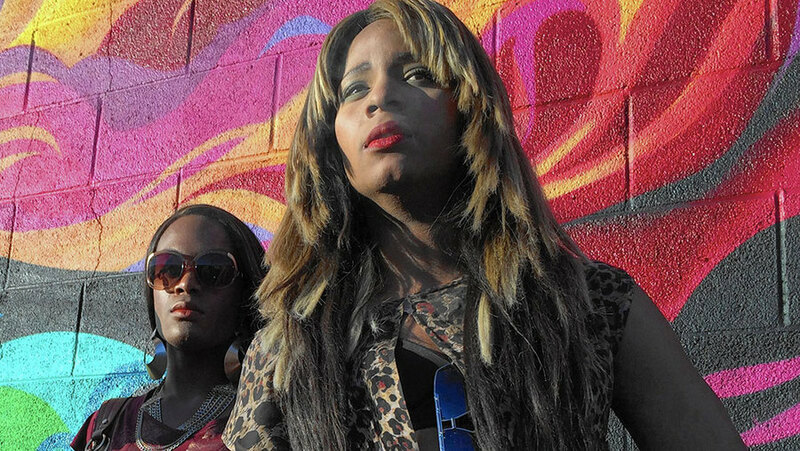 Pity Party Film Club presents John Waters’ rebellious B-side to Hairspray. Like that beloved 1988 film, Cry-Baby is another musical about Baltimore teenagers putting two fingers up to the establishment, in this case a bunch of rock’n’roll bikers taking on the uptight squares in town. An impossibly high-cheek-boned Johnny Depp stars as the titular crooner, with Susan Tyrrell and Iggy Pop as his wild parents, Amy Locane as his straight-laced girlfriend, and Ricki Lake and Kim McGuire as members of his gang. Scotland's Billy Wilder love continues this month. 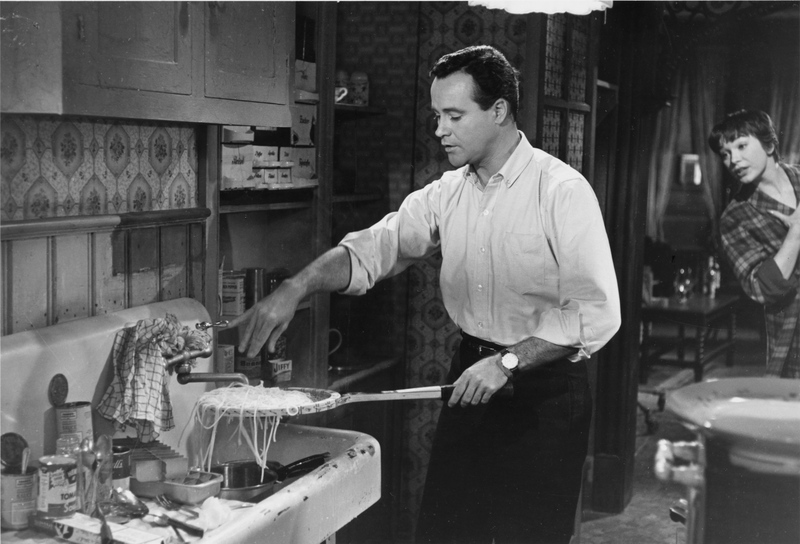 At Filmhouse, you’ll find The Lost Weekend (5 & 8 Dec), The Seven Year Itch (21 & 23 Dec), The Front Page (27 & 30 Dec) and One, Two, Three (11 & 13 Dec), as well as festive favourite The Apartment, screening 17 December and on New Year’s Eve. GFT, meanwhile, serve up a very rare 35mm screening of Wilder’s fascinating take on Arthur Conan Doyle’s legendary detective in The Private Life of Sherlock Holmes, which was taken away from Wilder by the studio but still brims over with magic (9 & 10 Dec). 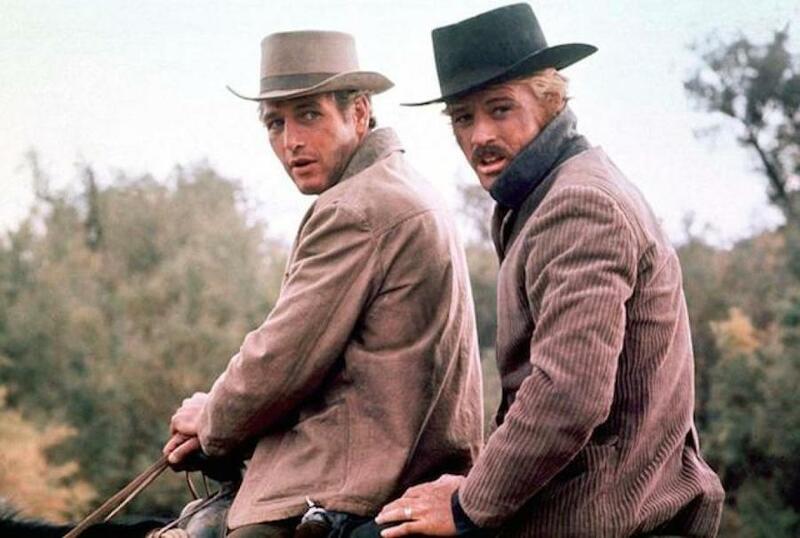 To celebrate the release of Robert Redford’s swan song The Old Man and the Gun, Filmhouse are tipping their hat to two of the great actor’s collaborations with his old mucker Paul Newman: The Sting and Butch Cassidy and the Sundance Kid. Watching the latter will also act as a fine tribute to its screenwriter, William Golding, who died last month. Wolfgang Petersen’s epic fantasy that spills from the imagination of a bullied boy reading a dusty old book he finds while hiding from his tormentors might be the most heartbreaking kids’ movie ever made (poor Artax!). Screening as part of Filmhouse’s Growing Pains, the cinema’s regular strand devoted to films exploring complex aspects of childhood, the screening includes an introduction and informal chat with the Filmhouse’s Jessie Moroney.